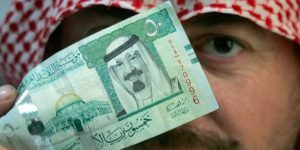 The saudi Public Investment Fund (PIF) announced Monday the establishment of $1.07bn Fund to support Small and Medium Size companies as part of continued policy to diversify the economy and end dependence of oil revenues. The fund called Fund of Funds according to the PIF will create 2,600 jobs and contribute around $156,000 to the GDP by the end of 2020. The prospects for 2027 sound more optimistic as authorities expect the creation of around 58,000 jobs and contribution to the GDP to reach over $2 billion. Saudi Arabia launched in April 2016 a large-scale reform plan dubbed Vision 2030, piloted by Crown Prince Mohamed bin Salman who heads the PIF. The young heir to the Saudi throne is driving the economic reforms aiming at making the regional power house an economy magnet. The economy diversification plan has targeted several areas of business including tourism, entertainment, real estate, arms industry, and green energy. Local companies will benefit 50 to 70 per cent of the PIF, which boasts thousands of billions. Posted by KanelkaTagba on Oct 10 2017. Filed under Finance, Headlines. You can follow any responses to this entry through the RSS 2.0. Both comments and pings are currently closed.